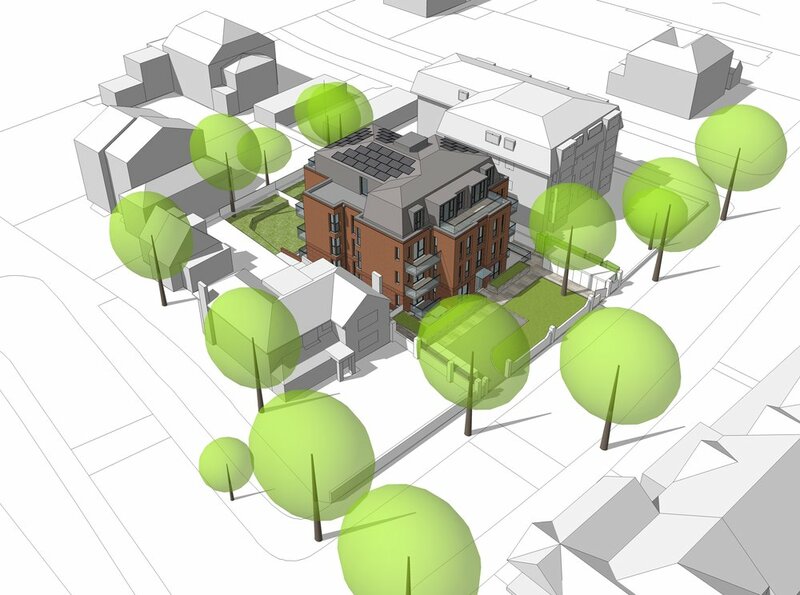 We have received detailed planning permission for our redevelopment scheme of Montpelier Road, a former care home in Ealing. Our service as a lead consultant for Sanctuary Homes will deliver 16 new homes with generous private amenity space. Lateral apartments provide large three bed family apartments with gardens on the lower level with all other homes in an optimal corner position on upper levels. The scheme is designed to maximise onsite carbon savings and includes water tanks in the form of raised planters to attenuate rain water run off. The site has been acquired by London and Quadrant Housing and will be one of the first schemes delivered as part of its Build London Partnership which intends to build 100,000 new homes on small sites in the next 10 years.